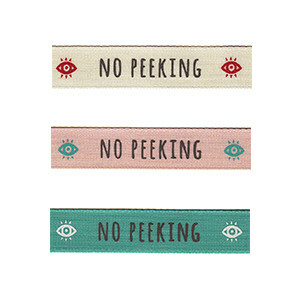 This beautiful 15mm width ribbon features an eye and the words "No Peeking". Comes in a choice of three contemporary colours - peony (pink), herb (green), pumice (cream). Comes on a 20 metre reel.